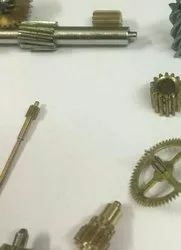 Swadeshi gears manufacturers spline shafts for various automotive applications from precision gear to car window handle splines. We have imported equipment for fast very high production and accurate profiles. The company has a capacity to produce 3,00,000 splines every month. Only small/micro splines are our products. We offer an impeccable range of precisely designed Armature Shaft. The provided armature shafts are developed with the aid of supreme quality material and leading technology in accordance with predefined industrial norms. 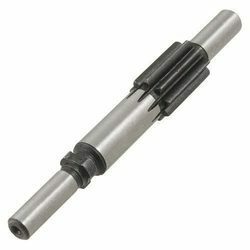 We are noted as the most renowned manufacturer and supplier of Spline Shafts. The offered spline shafts are designed with the use of optimum grade material and modern tools in compliance with set industrial norms. 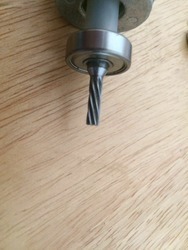 We make Geared Armature Shafts.